Adarsh Enterprise is one of the leading trader of zinc metal in MIDC Waluj, Aurangabad. 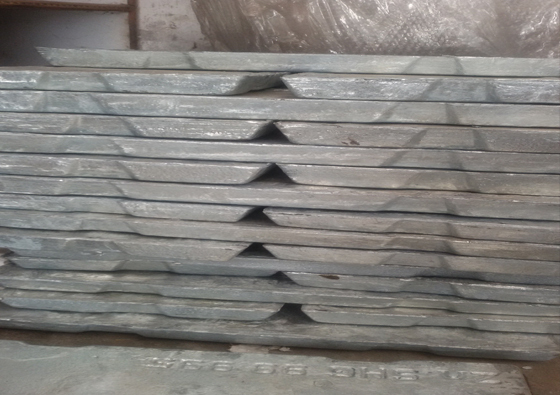 We provide all types of Zinc products. About 12 million tons of zinc are produced annually worldwide. Half of this amount is used for galvanizing to protect steel from corrosion. Approximately 17% goes into the production of zinc base alloys, mainly to supply the die casting industry and 17% to produce brass and bronze. Zinc: Applications. Metallic zinc is used in the production of alloys and in galvanizing to protect steel structures. It is still present as a chemical additive in rubber and paints. In the galvanizing process the coating is applied by hot-dip method or by electrode position. Mainly in the form of galvanization, zinc-based alloys and zinc oxide, it has applications in the automobile, construction and shipbuilding industries, light industry, machinery, household electrical appliances, batteries and other industries. Other industrial uses - Alchemists burned zinc in air to form what they called "philosopher's wool" or "white snow". ... Corrosion-resistant zinc plating of iron (hot-dip galvanizing) is the major application for zinc. Other applications are in electrical batteries, small non-structural castings, and alloys such as brass. Metal finishing chemicals for cleaning, plating, chromating, polishing etc. Turnkey projects for the entire metal finishing industry. Supply of fully automatic, semi-automatic, transporterised, manual and crane type plants. Design and supply of specialised custom made plants like strip plating and washing lines.